In order to start a business in a new country it is of paramount importance that we get our information right. Each country has its own economic landscape that allows different investment opportunities, which means that if you plan to invest somewhere you want to know which businesses have the best chance of success. The global market is currently looking closely at Nigeria and the prospects it holds for potential investors. This is why we have decided to share five most profitable businesses in Nigeria, based on market demands, scaling rate and revenue. For a long time this branch was neglected by the government and the private sector, giving the oil business advantage before everything else. This created a massive gap between the demand and the supply side so Nigeria turned to importing goods like chicken, rice, and fish. Since the country is blessed with versatile natural resources and the government is not interested in investing itself, the doors are wide open for investors to take over the market and bring domestic production to a level that would be able to satisfy the large demand. Cassava and rice are the most consumed staple food in Nigeria and these two products promise a high return of investment volume. Snail rearing, fishery, piggery, and cattle rearing are also parts of agriculture that are in dire need of new investors. Being one of the largest oil producers in Africa and the largest one in West Africa, it is easy to understand why oil and gas business is one of the most lucrative investment opportunities in Nigeria. Both the government and the private sector are consistently developing oil industry. This allows them to scale their market potential and keep creating serious amounts of profit. Simply put, marketing petroleum products, starting gas stations or generally exporting any oil derivate shows high return of investments. As it is in any country in the world, Nigeria is not excluded from the rule that owning buildings or pieces of land is one of the most profitable businesses. Nigeria is growing fast, which means that construction business is doing well, however, in order to build something you need to buy land. This is why it’s said that if you buy a piece of land today, you will be able to make a profit from it tomorrow. If you decide to keep the land and sell it at a later point, you could see profit going higher than 100 percent rate. We already mentioned that Nigeria is growing at a speeding rate, which means more businesses are moving in, people from rural areas move to large cities, etc. This is where transportation plays an essential role. So many options for those want to start transportation business in Nigeria. Companies need to transport their goods between the cities; others need to move their materials for construction or other purposes. People travel from one city to another; visit their families over the weekends, etc. In cities like Lagos, Port Harcourt, and Abuja the need for public transportation is growing bigger by the day. Each day vast amounts of money go to transport companies that allow people to move faster from one part of the city to another. As the cities are growing larger and the country gets more and more connected, the transport industry has nothing but sunny days ahead. Hotels, motels, hostels, and other forms of accommodation. With so much going on, people are visiting Nigeria for business purposes all the time. With so much visitors coming in, there is a substantial level of demand for hotels and similar forms of accommodation by tourists, business people, and event planners. With skilled management and optimal monitoring system, there is nothing to stand in the way between you and a lucrative revenue. The options are numerous: visitors checking in, events hosting, catering services, and interestingly enough – selling liquor contributes to a high level of profit in hotel business. 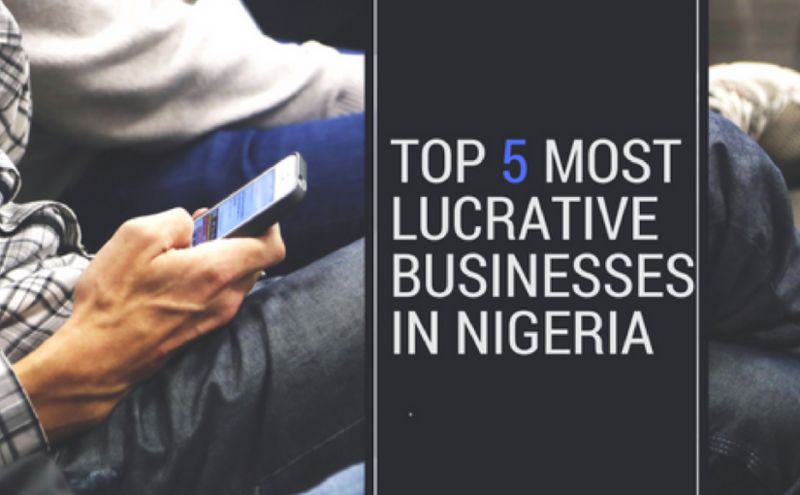 There are many other promising business opportunities in Nigeria that we could name. Private schools, exportation, media, eCommerce, etc. Nevertheless, the five we decided to place on our list are the most lucrative and offer somewhat more stable future with simpler scaling options. We hope that this article has allowed you to see more clearly the abundance of opportunities that Nigeria holds for potential investors. Therefore, do not wait too much, start your business in one of the most promising countries in Africa, now.